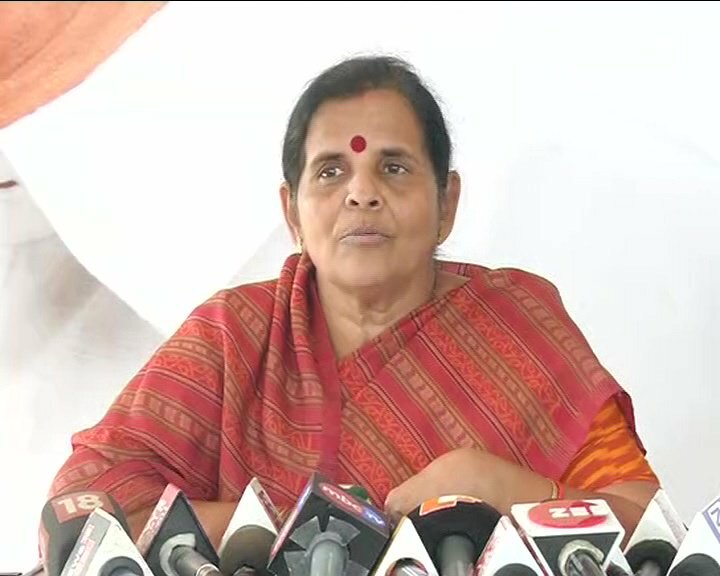 Bhubaneswar: Intensifying its attack on the State Government after a minor girl delivered a baby in a State-run Residential School in Kandhamal district, the Congress Mahila Morcha, the women wing of the Congress, today demanded dismissal of SC and ST Development Minister Ramesh Majhi and Women and Child Development Minister Prafulla Samal. The Morcha also demanded suspension of concerned department Secretaries and Kandhamal district Collector. “We demand dismissal of SC and ST Development Minister Ramesh Majhi and Women and Child Development Minister Prafulla Samal along with suspension of concerned department Secretaries and Collector. They all have failed to discharge their duties properly,” said Morcha president Sumitra Jena in a press conference today. She said she will launch agitation if action is not taken against them by January 19. On Monday, a delegation of women Congress leaders led by Jena met the victim girl at MKCG Medical College and Hospital, Berhampur and enquired about her health condition. The girl, a Class-VII student of the Sevashram High School in Daringibadi in Kandhamal district, delivered the baby on Saturday night.